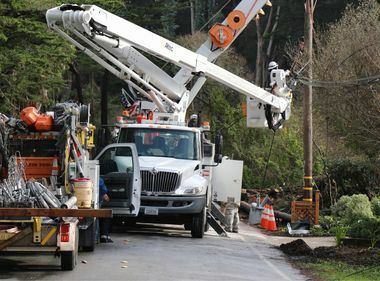 SCE crews, some pictured here in a recent mutual assistance effort in Northern California, are preparing for a slew of rainstorms this week in the Southland. SCE to deploy extra crews and support staff as rainstorms and forecasted snow to arrive Wednesday and last through Monday. 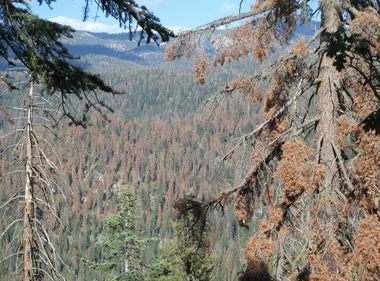 With the ground still wet from recent storms, Southern Californians are preparing for another drenching with three consecutive rainstorms forecast to hit Wednesday and last through Monday. The first of the storms will bring moderate rainfall on Wednesday night through Thursday. A heavier storm will enter the area late Thursday till Saturday and the final and strongest storm will begin Sunday and last till Monday. 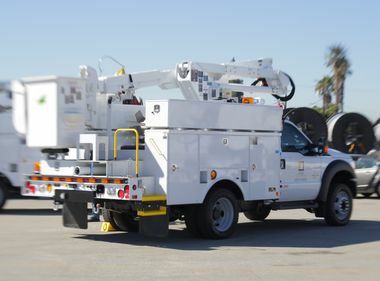 Southern California Edison is deploying additional crews and support staff throughout its service territory in preparation for the upcoming storms, which could bring additional repair outages. SCE is also looking at all maintenance outages planned during the upcoming storms. Each will be looked at on a case-by-case basis and factors such as public safety and reliability needs will be considered. Customers are reminded that downed trees and mudslides may have damaged electrical lines. If you come across any downed wires, stay away and call 911. Paul Roller, SCE’s lead meteorologist, warned residents to take precautions because these storms will be dropping a lot of rain. Wet yards with puddles on cement and grass can carry electricity. If a line is down in your yard, remain indoors and call 911 immediately. Make sure you have a battery-operated radio and flashlights. Check the batteries to make sure they’re fresh. Use flashlights for lighting during a power outage. Do not use candles because they pose a significant fire hazard. Never try to remove a broken tree limb or branch in contact with a power line. The limb or branch could be energized with electricity. Stay indoors and call 911. Mary Ann Milbourn contributed to this piece.